Shown in Steel Grey Finish with Standard White/Black Glass Media. Shown with Cast Iron Overlay in Brown Majolica Enamel with an Invisi-mesh Screen. 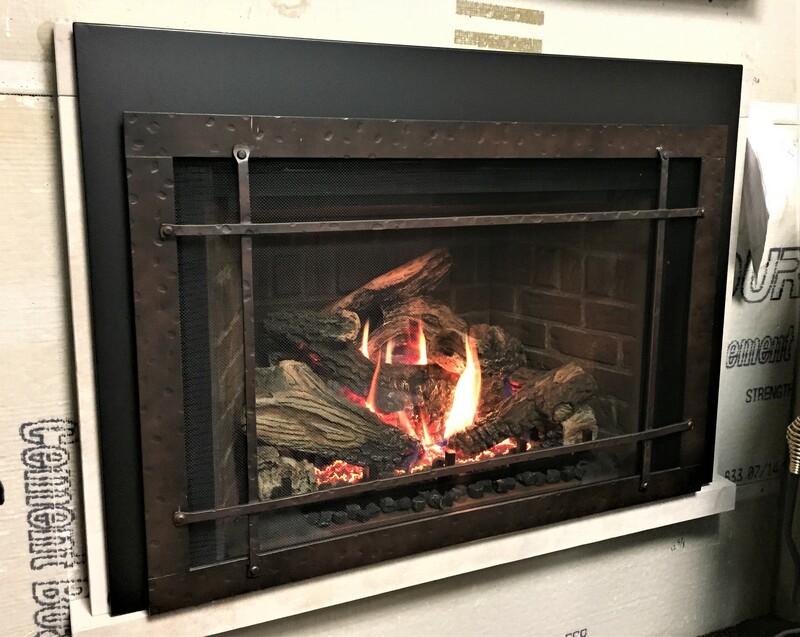 Has an Overlay Hanger Backer Frame in Black Powder Coat. There is a Brick Panel Kit in Brownstone with the factory standard Log Set. 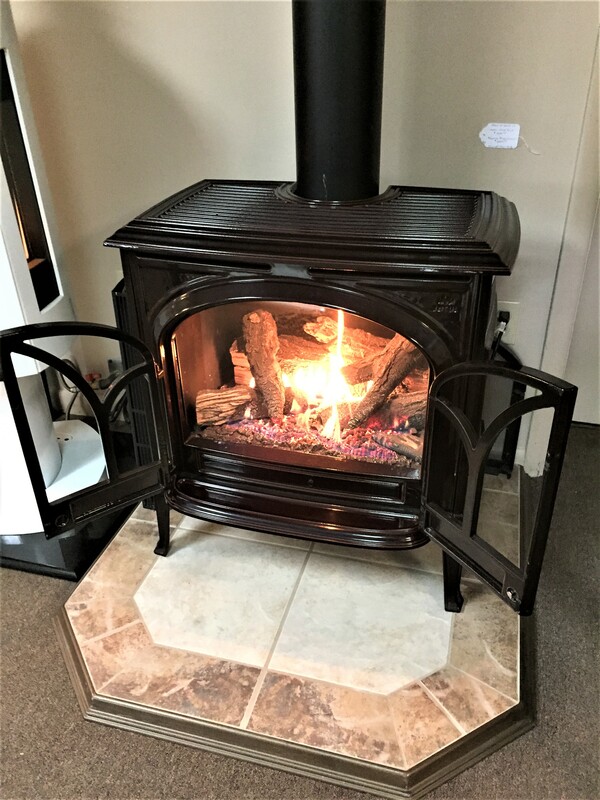 Shown in Majolica Brown Enamel finish, with factory standard Log Set and shown with doors open for full view of flame. 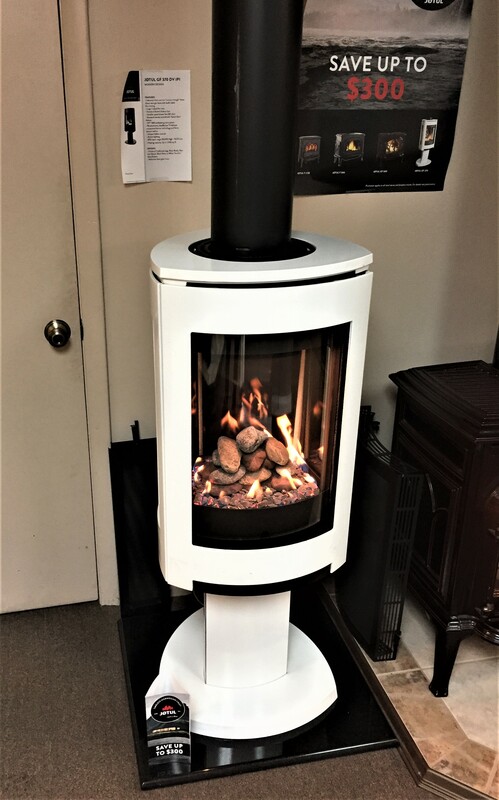 Shown in White Enamel with Tumbled Stone Burner Media. 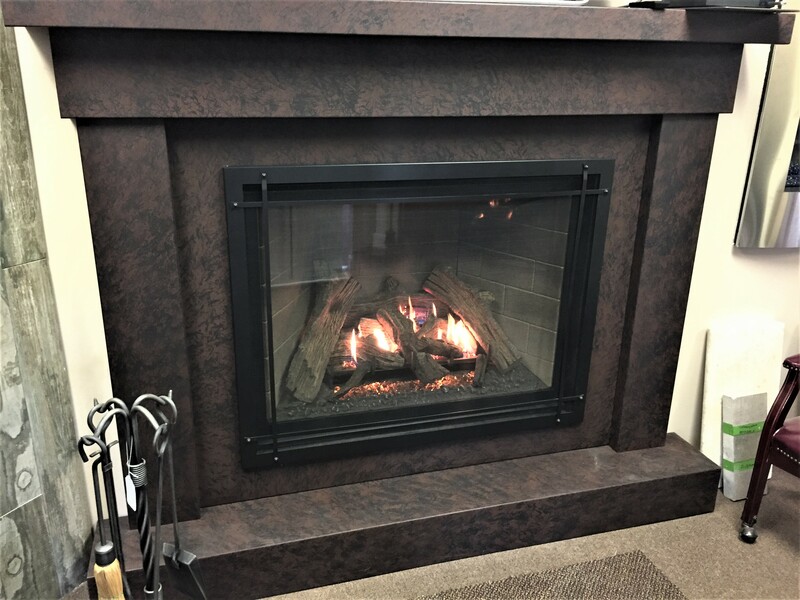 Shown in Matte Black finish with a Safety Screen. 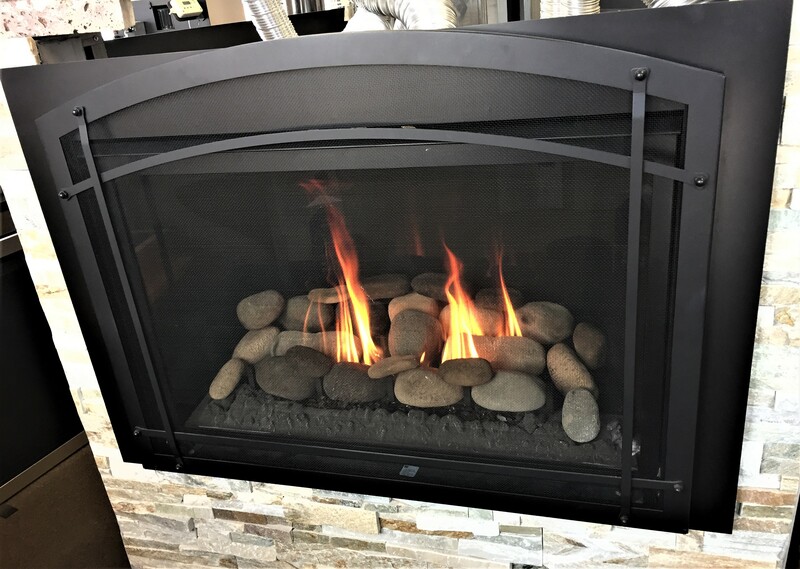 Has Black Reflective Glass Panel interior with a Beach Fire Log Set. Shown with a Grace Wide Rectangular Screen Front in Hammered Leather with Removable Magnetic Accent Bars. 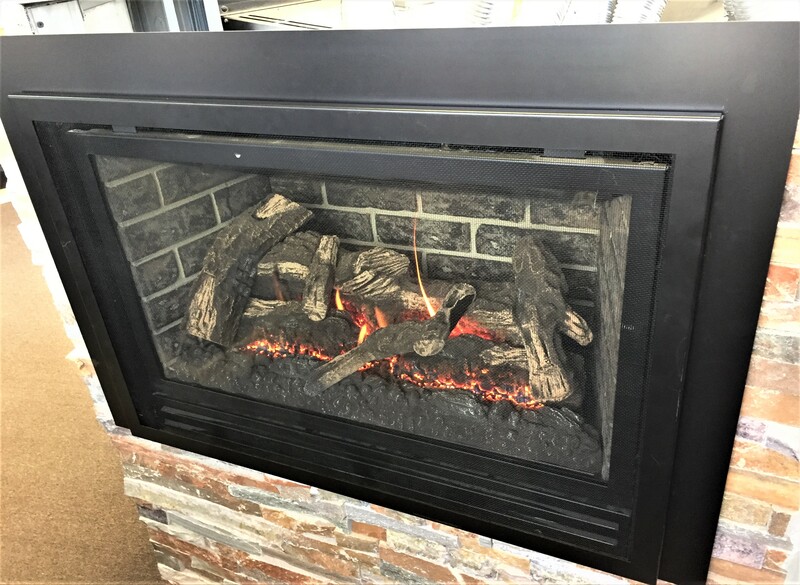 Has a "Flat" Basix Surround in Black and a Red Brick Lining interior with a Fiber Oak Log Set. Shown with a Grace Wide Arch in Brushed Chrome with Wide Arch Corners and Dome Rivets. 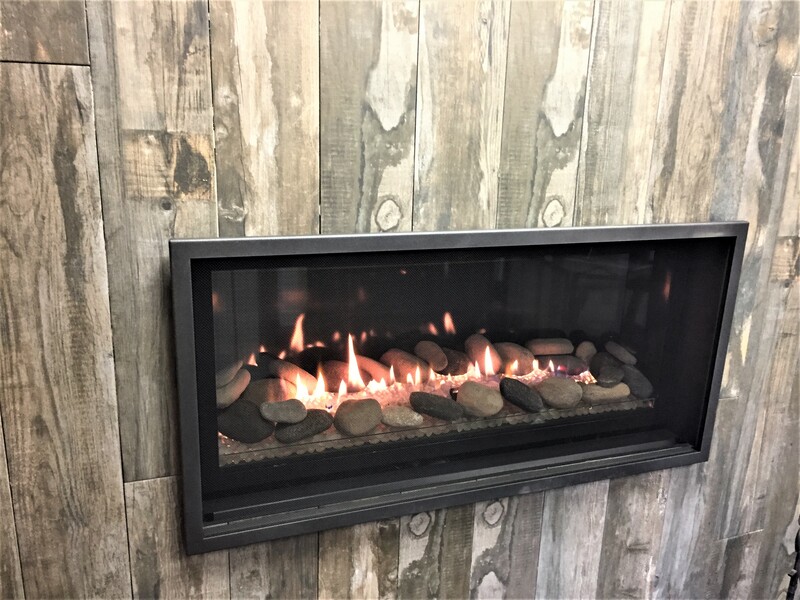 Black Panoramic Enamel Refractory Panel with a Birch Wood Log Set. Shown with a Rectangular Screen Front in Black with a Frosted White Glass Media Kit and Rock Accent Media Kit. Has MSI Wood Look Tile for the back wall. 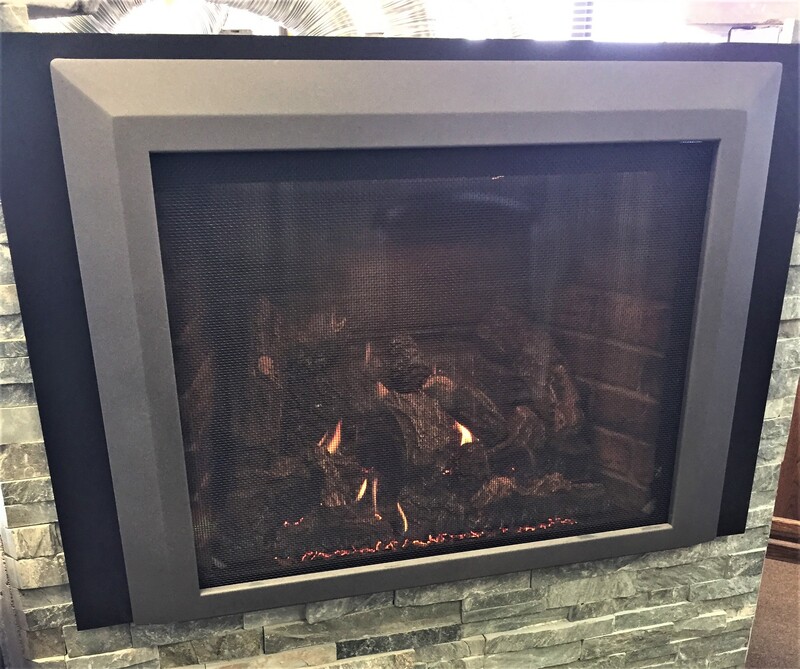 Shown with a Prairie Screen Front in Black with Masonry Refractory Panel interior and the factory Standard Log Set. Has a STOLL Custom Mantle in Rust Patina. 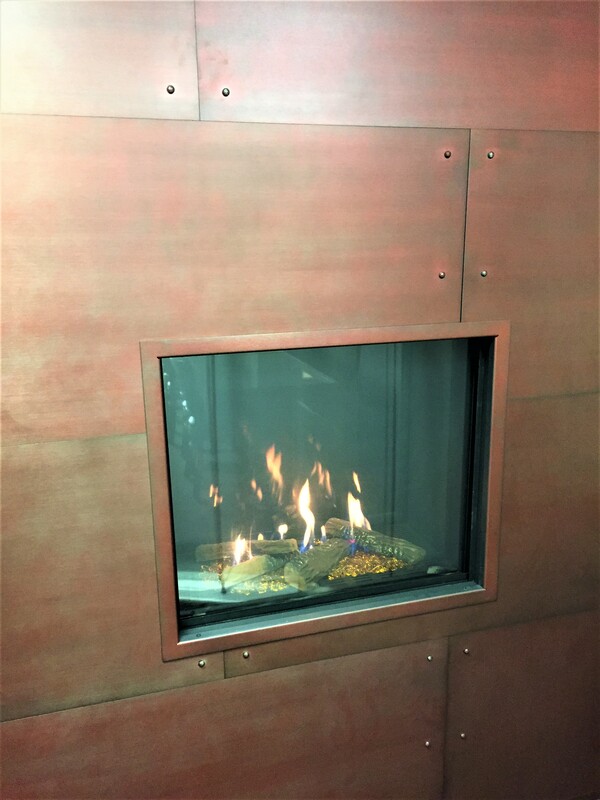 Shown with a Rectangular Full Screen Front in Antique Copper finish. 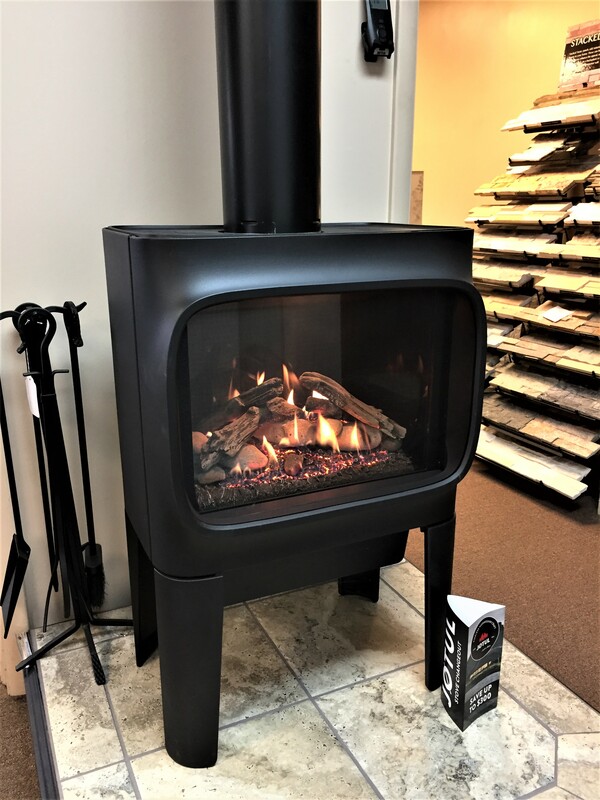 Black Enamel Firebox Panels with the factory standard Log Set. 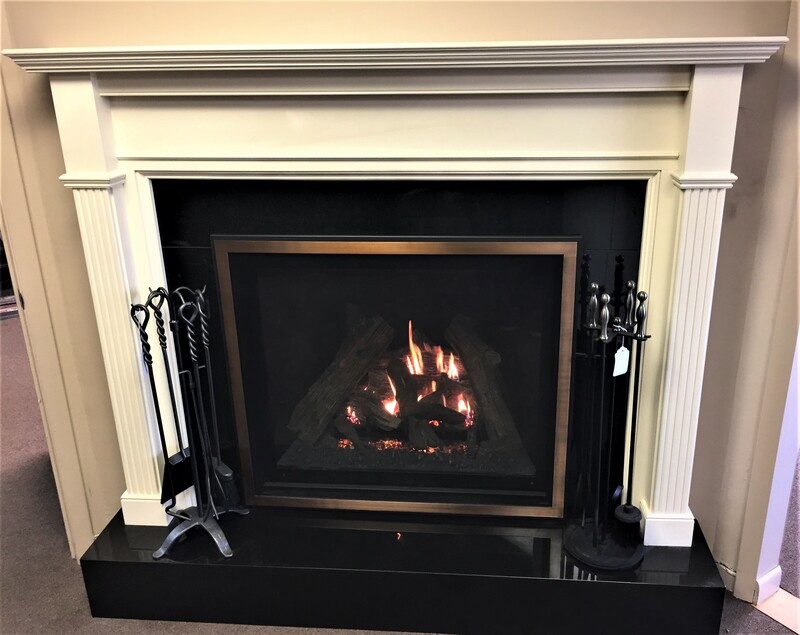 Wood Mantle in Palmerton White and a Custom Cut Black Absolute Marble Header, Legs, and Hearth Pad. 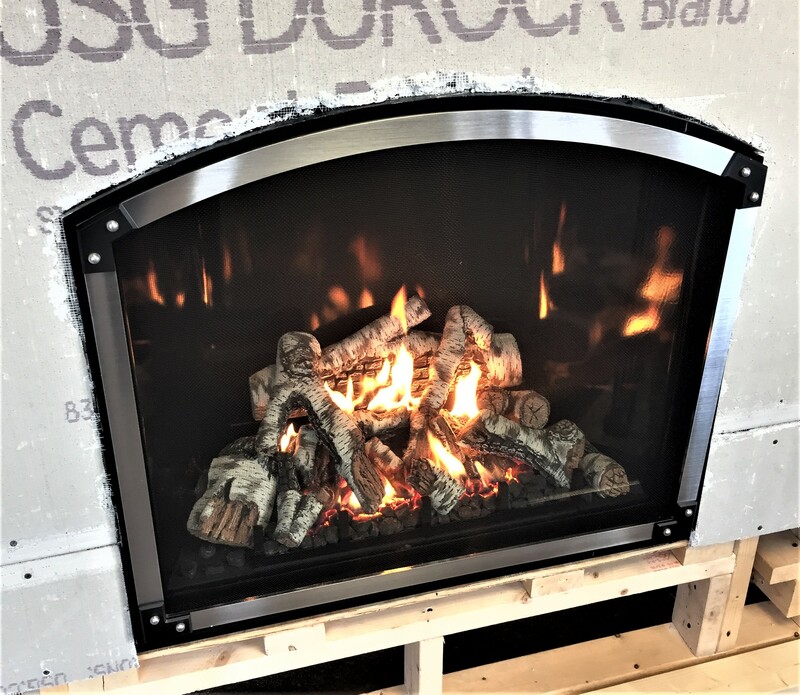 Shown with an Arched Mission Screen Front in Black with a Pedestal Base and Brick Refractory Panel interior. Shown with an Arched Missions Screen Front in Vintage Bronze. Refractory Panel Set interior for the back and sides and a Finish Trim Kit. Has a Custom Cut Limestone Mantle created here at Woodys. Shown with a Convex Contemporary Frame and Face with Brushed Stainless Steel. 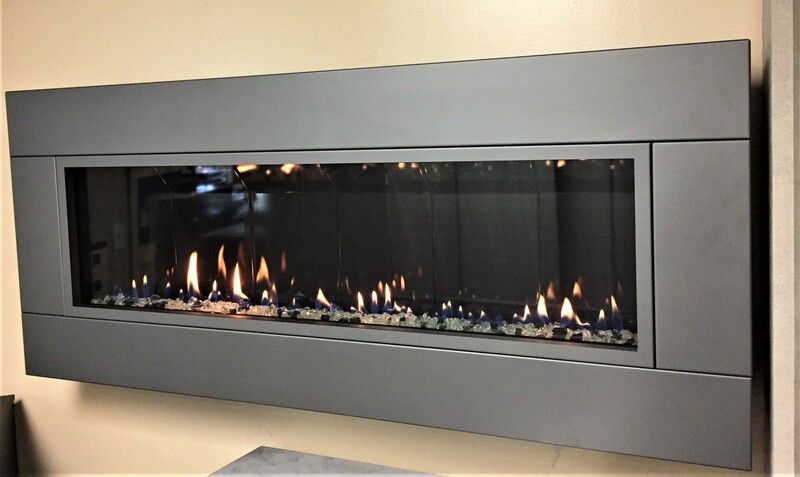 Brushed Stainless Steel Firebox Lining interior with Cobalt Blue Glass Media. 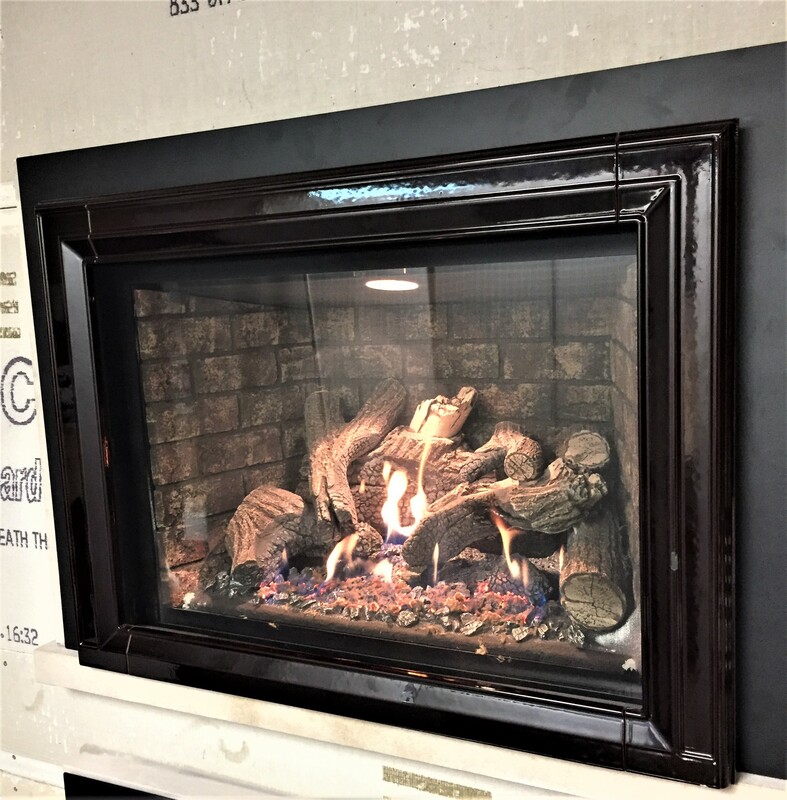 Shown with an Arched Praire Screen Front in Black with a Black Shroud backing and Ember Light Kit with Accent Rocks. 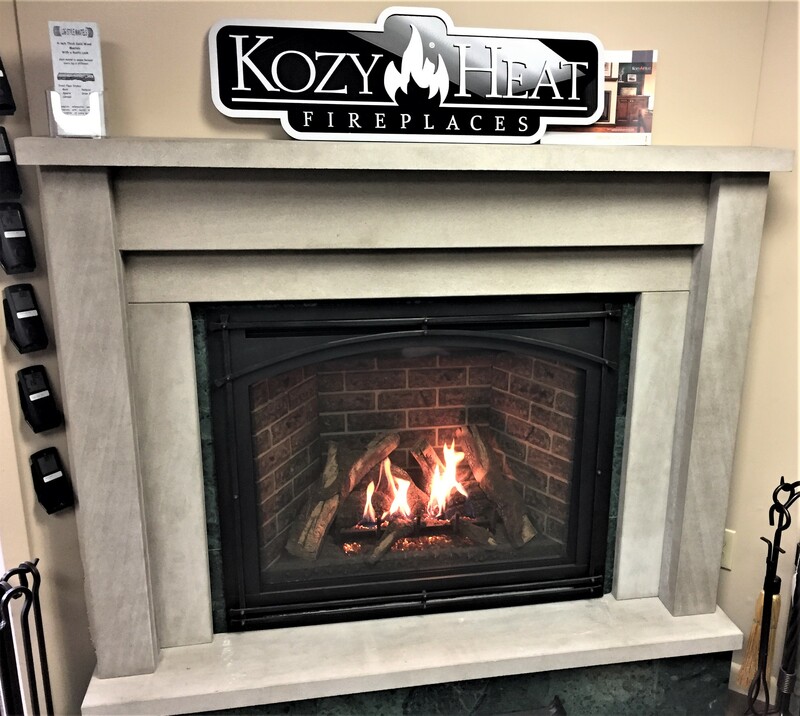 This Display is for SALE in our BLOOMSBURG LOCATION. Please contact the store for pricing at (570) 784-0900. Shown with a Beveled Front in Titanium with a Classic Black Shroud with a Molded Black Trim. 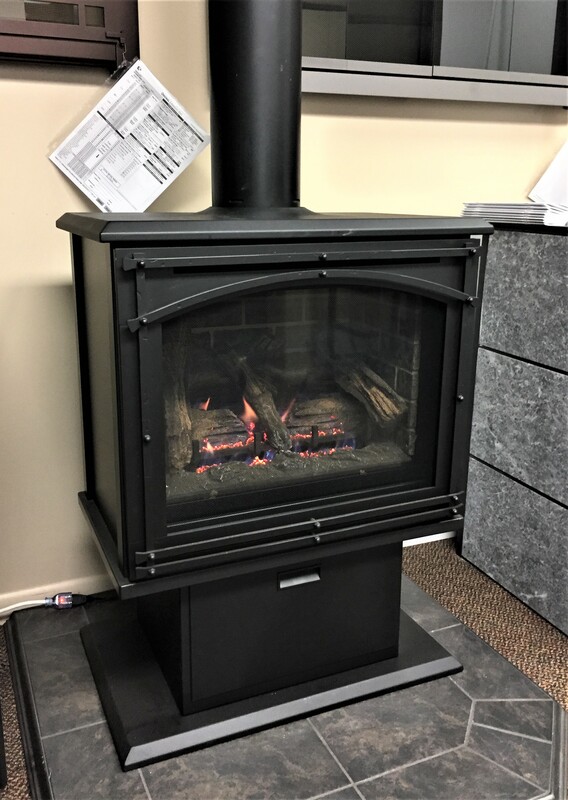 Shown with a Rectangular Screen Front in Black with a Classic Black Shroud and the factory standard Log Set. Shown with Ancient Amber Glass Media and Standard Log Set. Has the Corten Granite Panels surrounding the outside of the unit for that industrial feel.